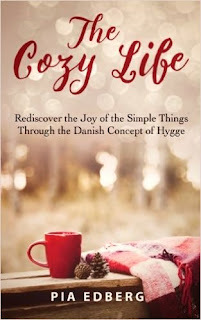 After reading the latest book I downloaded, The Cozy Life, I spent a little time on different websites, looking through other people's ideas of Hygge. 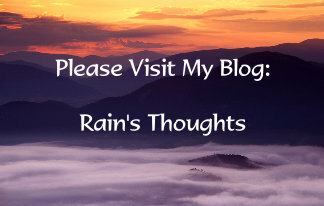 I think it's a very personal concept and one has to adapt the ideas to what each one is personally comfortable with. I think that this book is a better read than the other one I read, The Little Book of Hygge. I love her sentence: "Hygge isn't limited to people, it's being with those you enjoy most, people or pets." I was able to read the rest of her book with a little more interest after that, though she does mention a word about "not isolating" oneself, I think that's a social stigma that really depends on a person's own level of comfort. Society pressures us not to be "isolated", we're taught that living a life of solitude will be sad and lonely - for me it's quite the opposite! So I read her thoughts on isolation and being social with a grain of salt. 1. Hygge is a deliberately creating intimacy, connection and warmth within ourselves and those around us. 2. Hygge is a safe haven protecting you from anything bad out there, and surrounding yourself with things you love. She also mentions the importance of bedtime. Truthfully, do you have good bedtime rituals? Sometimes I admit that I don't. I used to bring my computer to bed or watch television to fall asleep. But I have learned that those things don't necessarily relax me, they stimulate my mind and I don't get as restful a sleep as I would if I went to bed listening to soft music and stretching. My morning routine helps me get up easier too, stretching, fuzzy slippers, then a warm coffee. If Alex and I didn't have separate sleeping schedules, we'd have a coffee maker in the bedroom! Something else that I liked was that she mentioned more than just blankets and pillows with regards to your home. She says to be choosy, fill your home with purpose, not clutter, and if possible, minimize the excess of technology. She mentions the importance of unplugging, and she's right because we struggle with information overload, not giving our minds a chance to relax and this disconnects us from creativity and a motivation to discover our passions and comforts. We are "overstuffed" with technology. "Hygge is about embracing the situation no matter how bad we perceive it to be. For instance, think about those times when the weather outside was miserable—dark, rainy (or snowy) and freezing cold. 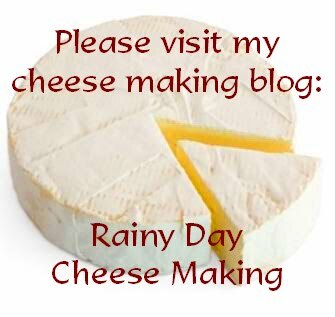 But with hygge we LOVE days like this. Yes! It’s the perfect opportunity to put on our warmest, comfiest pyjamas, curl up in a blanket, and watch a movie." I have to embrace this concept more than I do! I think this is a good read if you don't spend too much on the book! I transcribed her wonderful list of hygge activities (that I reworked a little for my own coziness) if you're in a jam and need some inspiration! Thank you for this review, Rain. I've decided to order this book to have in my library. Although I feel I already try to do many of the things suggested, just going through the book now and then I think would be a good reminder. What a great review! I think I would love winter more and the dark if it could just rain. When the winds blow and make the temperature feel like -45 I get so ridiculously low - at least with rain you can still go outside. For me if I am outside my heart and mind are much, much lighter. I need to achieve more hygge in my life. Thank you for this lovely review!